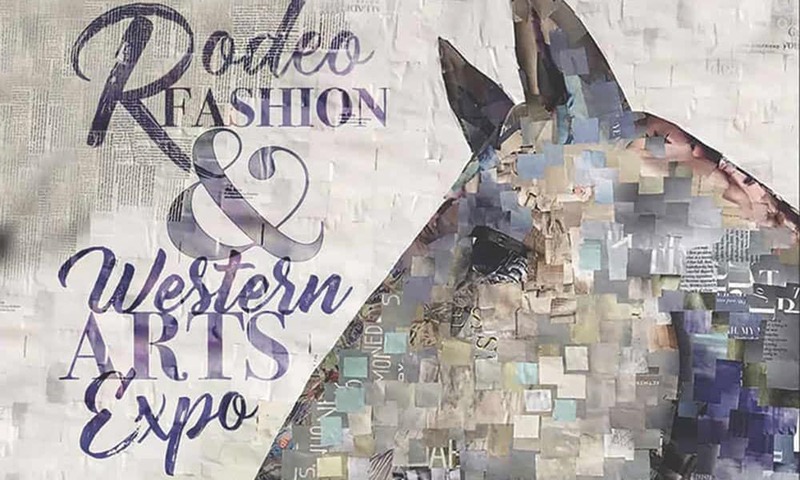 A small but carefully curated shopping show, the RFWA Expo will feature apparel and accessory designers, artisans, jewelers, and a diversified selection of Western couture. For folks heading to Las Vegas for the National Finals Rodeo and the enormous Christmas shopping opportunities, there is a new show in town. 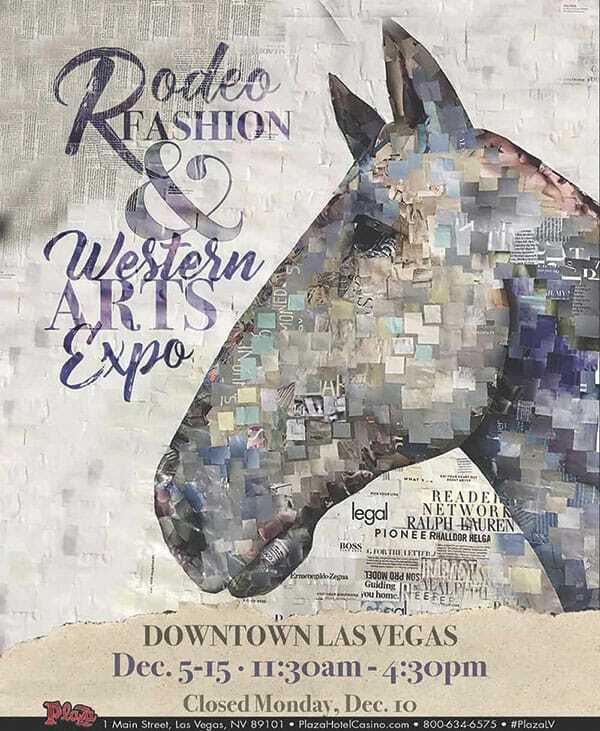 The Rodeo Fashion and Western Arts Expo will open its doors in the newly renovated Plaza Hotel & Casino in downtown Las Vegas December 6-15, 11:30 a.m. – 4:30 p.m.
A small but carefully curated shopping show, the RFWA Expo will feature apparel and accessory designers, artisans, jewelers, and a diversified selection of Western couture. In 2017, the Plaza Hotel & Casino was home to downtown Las Vegas’ first and only timed-event practice arena with stalls. This year, the property has added a full-size rodeo arena. This unique amenity makes it convenient for rodeo contestants to house and exercise their animals, only steps from their hotel room, in the heart of vintage Vegas. Coupled with free viewing parties, live entertainment, and complimentary shuttles, the Plaza is another great entertainment addition to the 10 day National Finals Rodeo. Visit rfwaexpo.com or plazahotelcasino.com for more information.